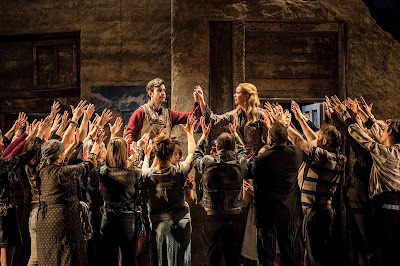 Despite the contractions in the number of operas in the season, English National Opera has shown admirable commitment to new opera by presenting the first opera by Ryan Wigglesworth, its current composer-in-residence. We caught The Winter's Tale on Friday 3 March 2017 at the London Coliseum, with Iain Paterson as Leontes, Sophie Bevan as Hermione, Samantha Price as Perdita, Leigh Melrose as Polixenes, Anthony Gregory as Florizel, Susan Bickley as Paulina, Neal Davies as Antigonus and a shepherd (Perdita's foster father), Timothy Robinson as Camillo, and Zach Roberts as Mamillius. 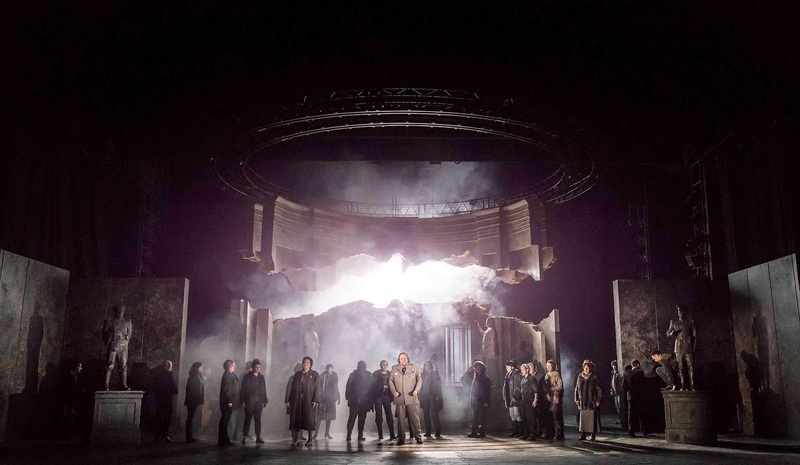 The opera was directed by Rory Kinnear, with sets designed by Vicki Mortimer, and costumes by Moritz Junge and Zeb Lalljee, lighting by Jon Clark, choreography by Imogen Knight. As anyone who knows Shakespeare's play will immediately recognise, there are characters missing from the opera's line up. The libretto, by the composer, is a long way after the play and omits the comic elements and much else. 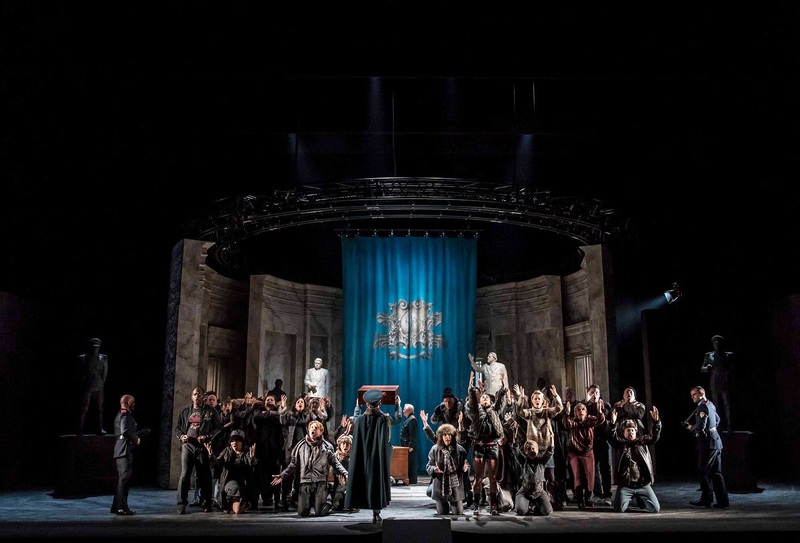 Wigglesworth's libretto is a miracle of compression, there are around two hours of music in the opera, and the play takes a lot longer than that to perform. How you react to the opera partly depends on your attitude to the play, and whether you can take it being completely transformed. 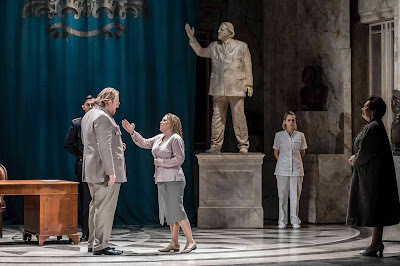 Wigglesworth has crafted a highly effective and rather powerful dramatic piece, but though he preserves the play's set pieces the lyricism and poetry of Shakespeare's play is substantially missing. This is perhaps most noticeable in the scenes in Bohemia (here Act Two), where Shakespeare's pastoral idyll is hardly established. Wigglesworth's musical idiom, whilst very singer friendly does not run to complete melodic lyricism, so that even when the chorus sings a dance song for Perdita and Florizel, the music is jagged and complex. For me, the work's strongest act was the first where Wigglesworth's music established a mood of complexity and suspicion which amplified his extremely telegraphic libretto. 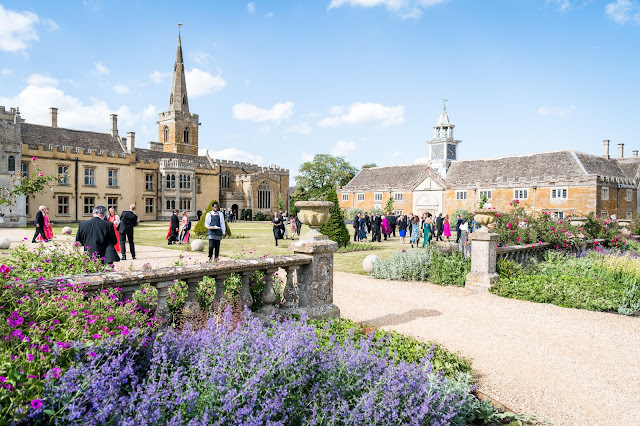 Wigglesworth's writing for the singers was highly effective (how could it not be, he is married to Sophie Bevan who sang Hermione), but the orchestra was as important. There were frequent orchestra interludes and interruption, with the voices often becoming part of the orchestral texture. Wigglesworth's writing for the voices was often Britten and Berg inspired, But after the concentrated power of the first act, you rather wanted a moment of lyrical pause, though this was rather lacking. 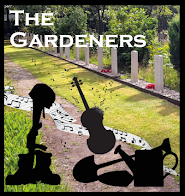 Polixenes here was a strong and angry figure, present from the beginning of the Bohemian scene, and the moment of lyrical tenderness between Perdita and Florizel was brief. Whilst Wigglesworth does change his musical idiom somewhat, the change is not radical so we do not benefit from the sort of disjunction which you get in Philippe Boesman's The Winter's Tale where the Bohemian scenes are written in a radically different musical style. 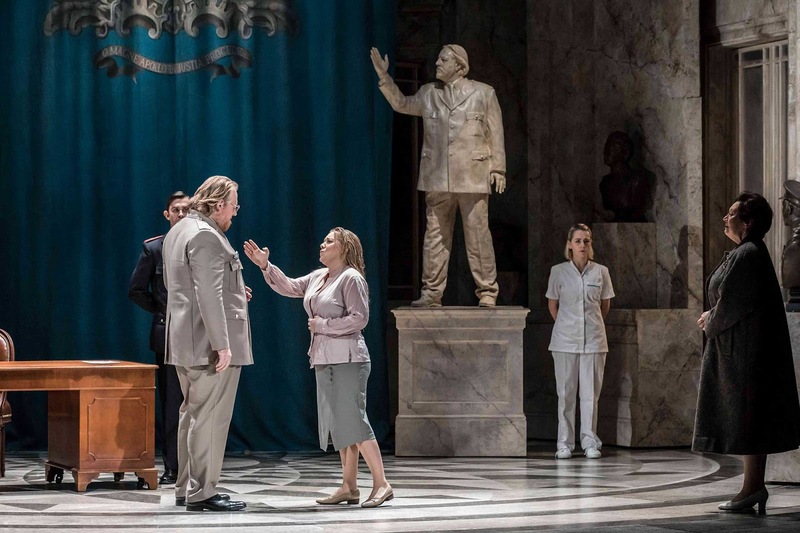 I am not asking for a version of the play, an opera is a different beast to a play and Wigglesworth's opera deserves to be taken on its own terms. But, as the production set Bohemia in a sort of contemporary Greek/Balkan village, I could not help thinking that the addition of another timbre to the orchestra such as a cimbalom or a Greek klarino would have helped considerably. But lacking the sense of magic, lyrical, pastoral in the Bohemian scenes, it is difficult to make sense of the final act's statue scene. Having had two acts of powerful neo-realistic drama which is concentrated in its intensity, it was difficult to make sense of why the act was happening. Here, we felt the weakness of Wigglesworth the dramatist. It was not enough to simply take the scenes from Shakespeare, and the presence of an experienced opera librettist would have helped. One of the things missing from Wigglesworth's libretto is passages of explanation, he makes jump cuts in the narrative and leaves us (and the music to fill in the gaps). Perhaps this is an opera which takes repeated listening. It has to be pointed out that this was Wigglesworth's first opera, though his first major work dates from 2007. He was born in 1979 and combines a conducting and composing career, so Richard Strauss-like he has a strong feel for orchestral textures and the way to use voices with orchestra. He sense of what an opera should be is perhaps less developed, but it should be remembered that Richard Strauss's first two operas were less than a complete success and Strauss was 41 before he got his first operatic success. So I hope that we can look forward to further Wigglesworth operas. 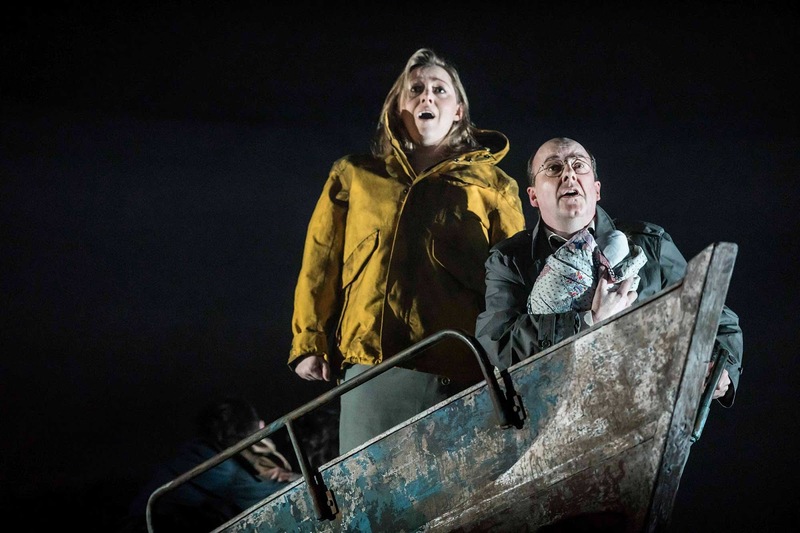 Rory Kinnear's production was tremendous, and it had the brilliant advantage of clearly being a production of the opera, and not a production manque of the play. Vicki Mortimer's highly flexible yet striking set (a cylinder whose walls rotated to provide a variety of different aspects, and a dramatic intervention during the trial) formed the basis of Kinnear's re-invention of Shkespeare's Sicilia as some sort of Balkan or Eastern European 20th century dictatorship. The opening scene took place in a form of modern mausoleum with impressive statues, this was just one of the impressive number of interlinking visual metaphors which Kinnear used to knit the opera together. 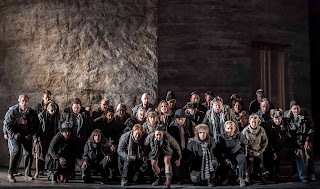 The opera was opened by Zach Roberts in the silent role of Leontes son, Mamillus, a constant presence in both the Sicilian scenes and present in the disturbing final scene. This was perhaps the most successful moment in the opera, where Kinnear and Wigglesworth really brought out the strangely incomplete sense of the final reconciliation. Iain Paterson gave a thrilling and fully rounded portrait of Leontes, making the transition from the crescendo of obsessive, tortured jealousy in Act One to the obsessive remorse in Act Three. Sophie Bevan was a vividly dramatic Hermione in Act One, making a very different character to that in the play. 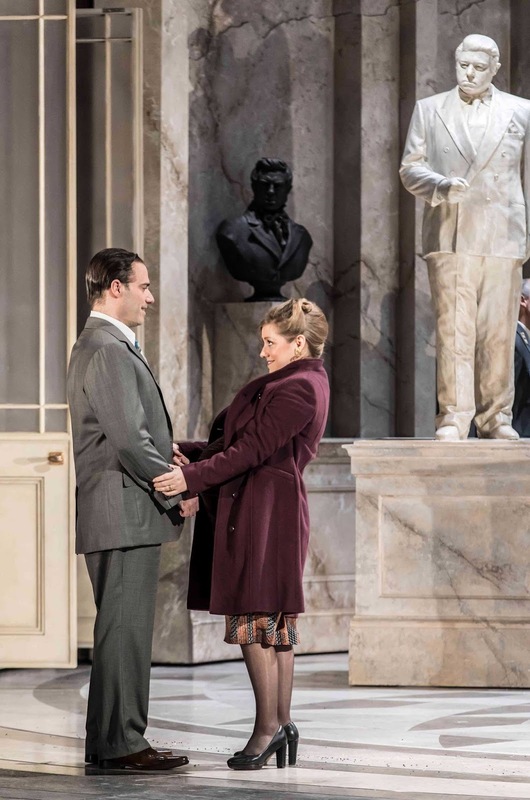 And for all the beauty and intelligence of Bevan's singing, with some spine-tingling moments in Act One, I did not think she managed to knit the two parts together, statue Hermione of Act Three seemed a long way from Act One. Leigh Melrose made a fine transition from the friendly friend, unjustly accused in Act One to the dictatorial martinet of Acts Two and Three. 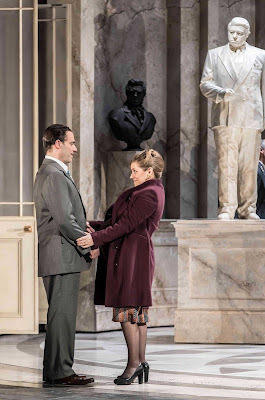 Susan Bickley's role as Paulina seemed somewhat underwritten, but Bickley was brilliantly able to fill in the dramatic gaps particularly in Act Three. Neal Davies made a highly effective Antigonus, and transitioned brilliantly to Perdita's foster father. Timothy Robinson provided sterling support as Camillo, a character who is important to the plot development. As Perdita, Samantha Price was all innocent charm, though I felt that Wigglesworth did not spend long enough establishing her character. She was finely partnered by Anthony Gregory's lyrical Florizel, standing up impressively to the coruscating torrent of his father's invective. (Gregory also doubled as a Court Official in Act One). The young Zach Roberts was impressive as Mamillus, with much of the drama being dependent on him. The chorus brought Wigglesworth's choral writing vividly to live, demonstrating that the confidence of his writing for operatic chorus (certainly not a given nowadays). Wigglesworth himself drew a luminous performance from the orchestra, and it was the orchestral textures and the way he wove instruments and voices together which really told in this piece. 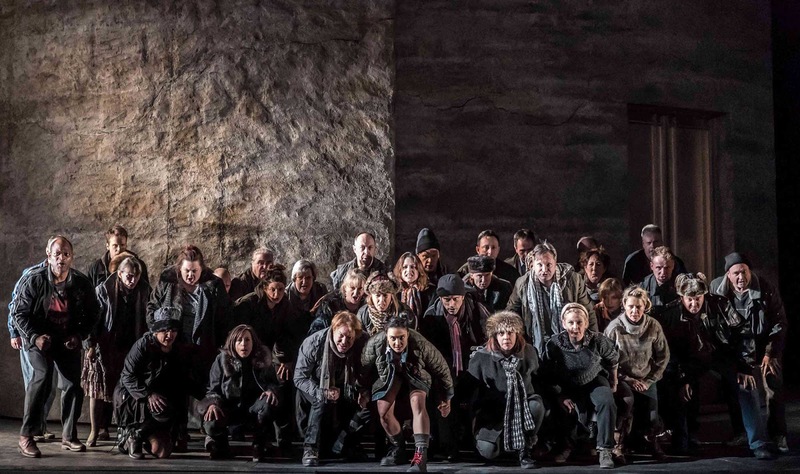 This was an impressive first opera, and more than that it was powerful and moving. 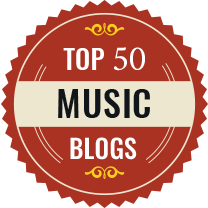 Wigglesworth shows a confidence in his handling of operatic material, and ENO must be congratulated on their belief in and support of him. We must hope that Wigglesworth is willing and able to build on the successes (and learn from the failures) in this opera with a new one soon.